Another way to get coupons for your coupon stash is to ask for freebies. There are a TON of freebie websites and email newsletters out there. Just Google Freebies and you’ll be sure to find one you’ll like. I subscribe to Shop For Freebies. com’s daily newsletter. Couponing to Disney also alerts me to freebies. When you receive a freebie or sample in the mail most of the time there is a coupon included. Like today I received a sample of Gold Bond body wash. I’ve never used this brand or product but I LOVE samples so what the hay?! Samples are great for travel because once you use it up you just throw out the package and you don’t have to return home with big bottles. 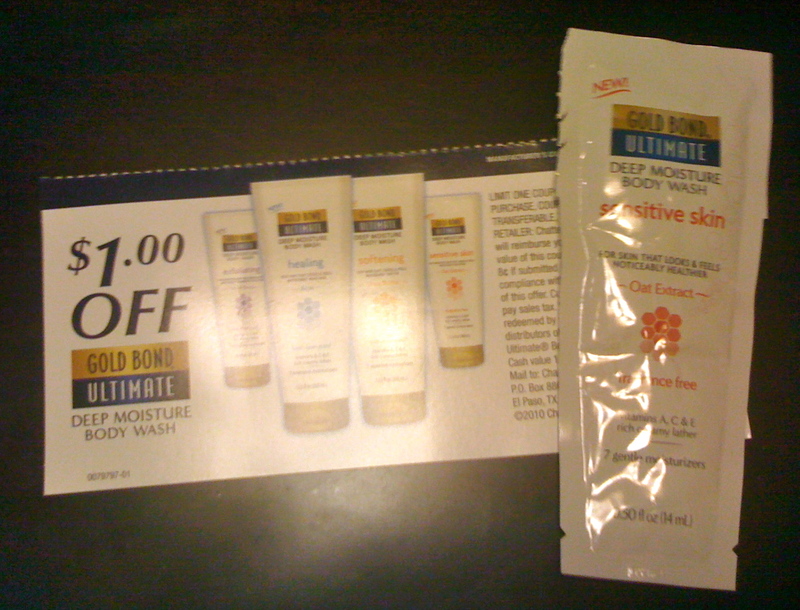 Anyway, included with my sample was this coupon for $1.00 off the product. Not too shabby for 30 seconds of inputting my name and address!